To cultivate an appreciation of the fine arts, an understanding of the world, and adherence to high personal standards. We strive to preserve the best of the Christian Western tradition and the fundamental relationships that flow from that tradition: love of God, neighbor, country, family, and friends. Furthermore, these relationships are an important aspect of cultural education and are reflected in art, music, theater, and even architecture. Cultural education is central to life at C of O. A broad array of speakers informs the campus body by sharing their passion and expertise on a variety of topics in the convocation series. Students have opportunities to participate in and attend musical performances, art exhibits, theater performances, and other cultural activities. The College also offers many domestic and international travel experiences for students who qualify. 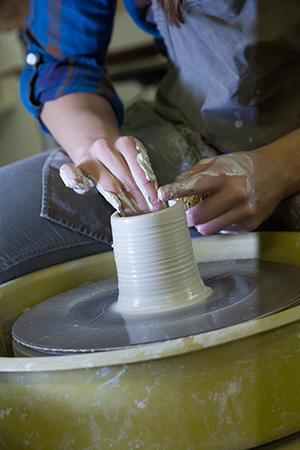 The Cultural Education Goal of the College is an important aspect of student life and is threaded throughout students’ course of study and experiences at College of the Ozarks.